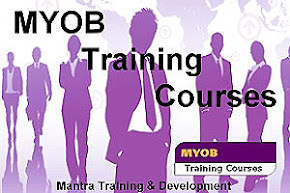 Mantra Training & Development: Time Management = Success!! If time runs away from you, this may me an interesting read! 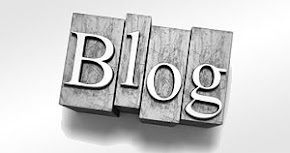 Welcome to my Blog, it has been a while since posting and let me just say not because I have been on holidays or taking it easy, quite the contrary. This has been a very busy and tiring time with lots of physical activity included. This is a very personal story this time and not a personal opinion but an experience I wanted to share. Do you feel like time is passing you by? Do you feel like you don't have enough hours in the day, days in a weeks or weeks in a month? well I know how you feel. Busy people tend to fit lot's into their days, weeks and moths. Have you ever asked yourself why that is, well I have, and recently more than ever. So i thought I would share some personal stuff with you in this blog about how much I have fitted in recently. Do you plan your day before it begins, plan your month before it begins? Do you allow constant disruptions that take your focus away from the priorities? The day before you go on holidays, reflect on how much you get done and how focused you are? What could you do better to create more time in your day or even week? School holidays are generally a time for me to recharge and put on a different hat. My Youngest daughter being the only child left at home generally goes to visit with her Dad and his family in Darwin. I miss her a lot but I use this time to recharge, work longer hours to catch up and also have some creative thinking time. Unfortunately this has not gone to plan these holidays, let me explain why. In December I moved my business from one location to another, now if anyone has done an office fit-out before I am sure you can empathise with me and even more so as I am not very smart in the electrical area of an office. So doing an electrical plan was where I was at breaking point. When I say breaking point I mean my boundaries and comfort zone were certainly pushed. 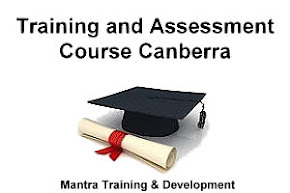 I can coordinate many different things and I enjoyed creating a new learning environment for Mantra Training & developments staff and students. Well…….5 weeks later and a few melt downs we are in the office and very happy with the outcome. I am also very proud to say that my Son has been recovering in a Rehabilitation hospital since the beginning of January and has been doing exceptionally well. Driving to Sydney every week (6 hour round trip) to support him may be tiring, but again I find a way to use this to my advantage and University in the car has been very re energising for business and me personally. For the past 4 weeks I have been watching my Son recover from 8 years of addiction and self destruction. It has been an amazing process and he is working very hard to recover and get life on track. He has been supported by Nurses, Counselors and Support Workers who have helped him in his path to recovery. I am so very proud of him; this has not been an easy journey by any means. For the past three months I have been training hard for my trip to Kokoda in April and I am getting fitter and stronger every week. As the time draws closer I start to wonder if I have done enough but with 11 weeks to go I am sure I still have time to up the anti and make sure I am fit and ready to take on the trek. I look forward to the history, meeting the people in the villages and the physical challenge. I can’t wait to experience the different cultures and see the scenery of the Kokoda Trek. So I think when we have to step up we can achieve greatness and fit a lot into a short period of time. Now I don’t think for a minute it is sustainable long term without reflection and rejuvenation, and very achievable in the short term. I think it is soon time for a 4 day long weekend kayaking with my Daughter to slow down and recharge my batteries and brain. Amazing How Much We Can Do In Just A Few Weeks!